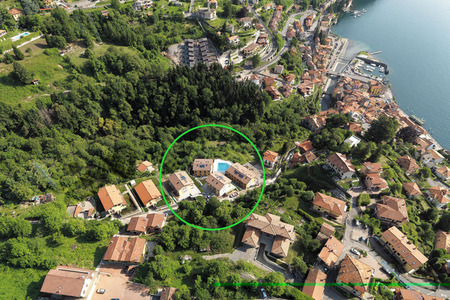 Luxury living on Lake Como! 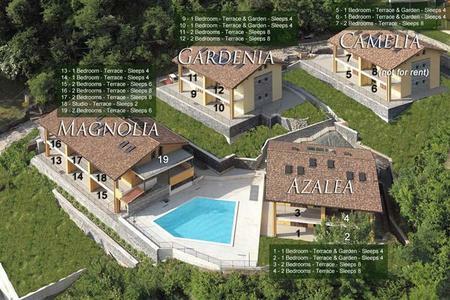 An idyllic property overlooking the dramatic lake and mountain scenery on one of the most breathtaking of the Italian lakes this ground floor property offer luxury living in an exclusive hillside Residence. The property features a lovely open plan living room which provides a very comfortable and stylish place to relax and unwind with a flat screen TV for guest’s entertainment. A newly fitted contemporary kitchen provides all the desired appliances for a smooth self-catering holiday including a gas hob and oven, toaster, microwave, coffee machine, dishwasher and a washing machine for guest’s convenience. 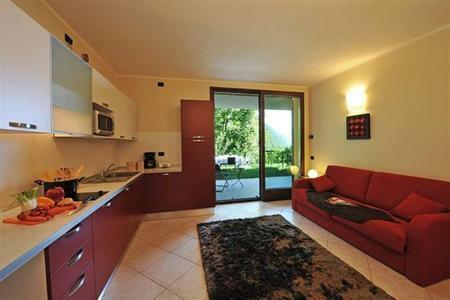 From the open plan living room glass doors slide out onto a wonderful private sunny garden with alfresco dining terrace area and boasting lake and mountain views of Isola Comacina! The master bedroom is spacious and has been beautifully furnished with a stylish double bed and other lovely furnishings to make your stay as comfortable and relaxing as possible. A double sofa bed to the living area can also be utilised to accommodate two additional guests if and when required. A modern and newly fitted bathroom with power shower also features in the property. The property also conveniently features central heating, a telephone entry system and resident parking facility for guest’s convenience. 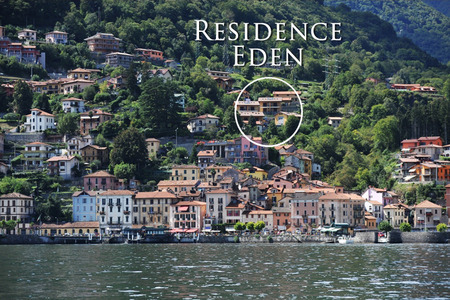 The exclusive Residence Eden grounds offer more besides the sunny position and breathtaking lake views as it also offers residents a wonderful Swimming pool ideal for recreation and poolside relaxation, with breathtaking views to also enjoy! 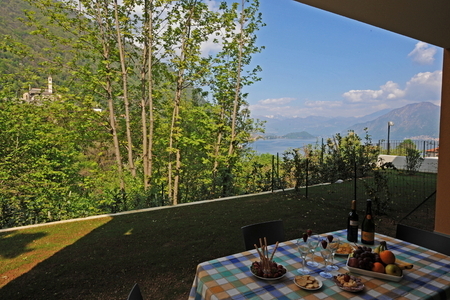 From the hillside residence guests can reach the lakeside centre of Argegno in just 5 minutes by car. The popular visitor town offers many picturesque views from the gushing Mountain River and ancient bridge crossings to the vibrant piazzas with cafes, bars and restaurants which lead to quieter and charming medieval passageways and areas of the town which are just waiting to be explored! 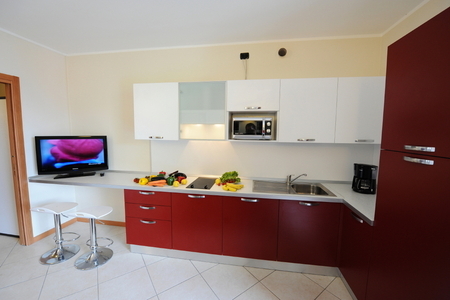 Argegno offers a range of local amenities and offers some very good restaurants to enjoy including La Piazzetta. 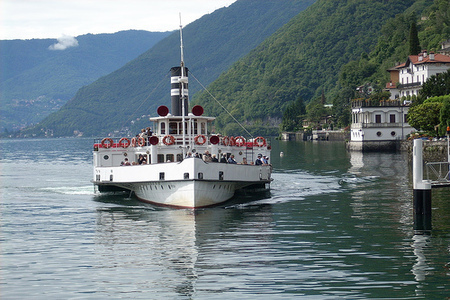 From the town guests can also easily use the ferry and bus service or travel by car to explore the nearby towns and also enjoy other marvellous dining experiences at Il Crotto Platani and Gatto Nero. 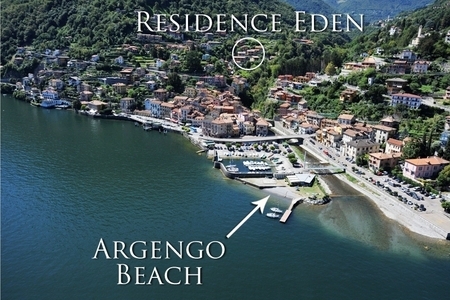 Staying in Argegno along the desirable western shore of Lake Como also means that guests are within easy reach of the cosmopolitan delights of Como city which include the famous Duomo cathedral, its buzzing Piazzas, the wide variety of designer and high street shopping boulevards and Villa Olmo which plays host in its splendid rooms and gardens to many art and musical events and festivals each year. A train service also operates frequently to Milan from the city, making it an ideal destination to explore the Lombardy region from. Thank you HHH for a really super stay! Doug and I were very happy in Eden Azalea 2. 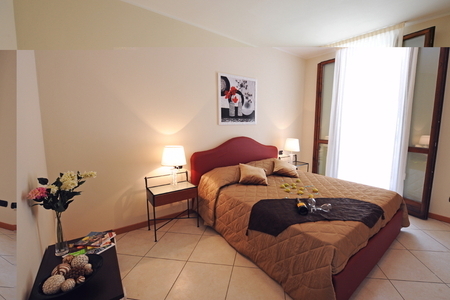 It was fully-equipped and offered us a very contemporary and luxurious self-catering getaway. 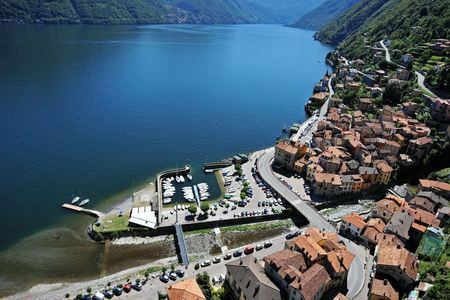 The charming village of Argegno also offered us a great base from which to reach the Isola Comacina, the villa attractions and the resort towns of the central lake. 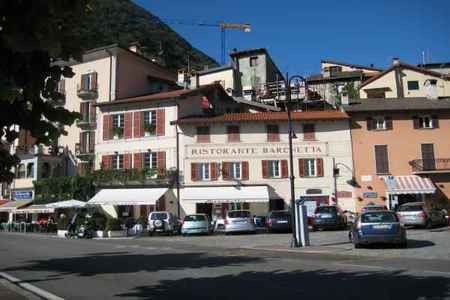 The village was also within easy driving distance of Como city - so what a great mix of fun we both had! " 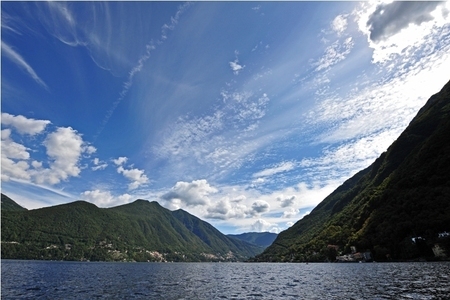 Anita Hammond "
Thomas and I have really enjoyed our week on Lake Como - it is truly beautiful and is unlike anywhere in Italy we've been before! The lake views from our residence were just breathtaking and our communal pool provided us with the perfect excuse to relax and unwind! Our holiday apartment, Azalea 2 was beautifully presented with many contemporary features and home comforts for us to enjoy. 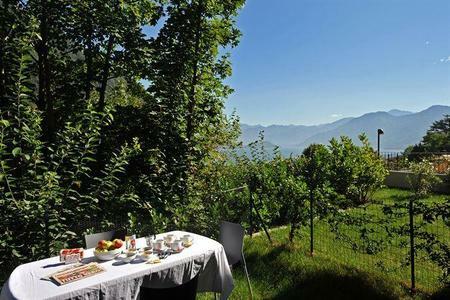 Its location on the hillside above Argegno allowed for plenty of all day sun and also peace and quiet! 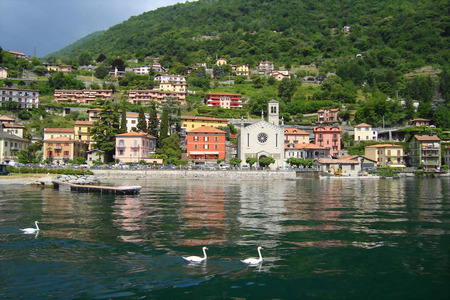 The pretty village was within easy reach by car to the central lake attractions, activities and also the lake capital. We enjoyed many meals out along the central western shore and we can easily recommend this place for Italian foodies, romantics and lovers of nature! Thank you Happy Holiday Homes! " Jasmine Morgan "
A very nice holiday home - we are very happy and impressed!! " Petra Friedland "
Wow thank you for an unbeatable vacation! Argegno was SO pretty! Our holiday rental was located just above the town and had some incredible views of the central lake and Comacina island. We were very comfortable and happy here during our stay and the outdoor pool was a great bonus. We would recommend dining at La Piazzetta in Argegno, La Locanda Trilindana in Sala Comacina and the Agroturismo named La Fagurida up on the hills above Tremezzo. There was also a great wine bar in Tremezzo called La Cantina Follie. 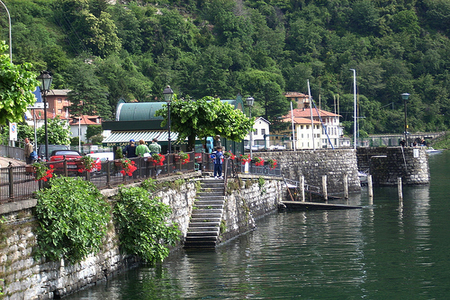 Lake Como was so beautiful and the villas were like nothing we'd ever seen! Paradise! " Frida Malone "
We spent a wonderfull Holiday in Argegno. Super Appartment, cosy town, nice people, good support from you, Happy Holiday with good help to find good restaurants as well as other advice and helping us out when we damaged our car!! All in all a fantastic week at Lake Como....and Italy is still our favourite place to stay in the Mediterranean countries because of the frindly atmosphere! " Ole "